NO THAI university made it to the Times Higher Education’s (THE) World Reputation Rankings 2015, reflecting the fact that the Kingdom’s tertiary education institutes do not yet enjoy solid recognition in the international academic community. 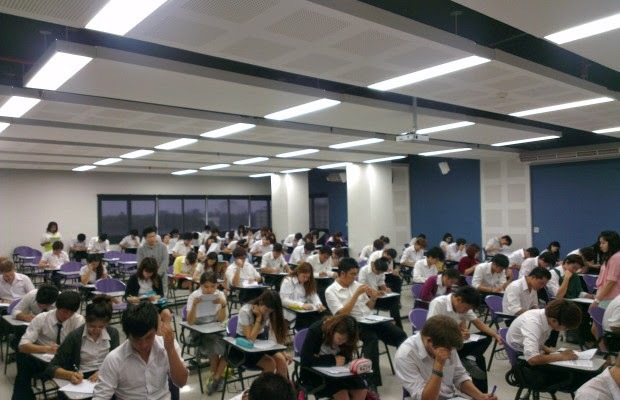 The lack of Thai academic research papers in English is possibly a factor. THE uses the world’s largest invitation-only survey of academics when compiling the rankings. The survey in 15 languages was sent to over 10,500 respected academics in 142 countries. “Each one can nominate no more than 10 institutions that, in their expert opinion, they believe to be performing the most strongly for teaching and research,” said Phil Baty, editor of the rankings. Speaking to The Nation via email, Baty said Thai higher-learning institutes had not received enough nominations to sit among the world’s most prestigious varsities. “There is no way of knowing why this is happening,” Baty said. However, he said many of the institutions that did not feature in the World Reputation Rankings also received poor scores for international outlook in the Times Higher Education’s main World University Rankings, published in every October, and based on 13 performance criteria. He said that meant they were not attracting enough international students or |staff, collaborating with overseas universities enough, or publishing enough research papers in English – “the global language”. He also said that the only way for a university to improve its world reputation ranking was to ensure that “scholars across the world recognise you as an excellent teaching and research institution”. Released yesterday, the rankings identified the 100 most prestigious universities in the world. In the first three places respectively are Harvard University (the United States), the University of Cambridge, and the University of Oxford (both the United Kingdom). The most prestigious university from Asia is the University of Tokyo in 12th place, while the best Asean performer is the National University of Singapore (24th place).